”You know I can’t go a season without reskinning a car!” explains Chris McMurry – and this is the result. The Autocon Lola in its 2007 JEANRICHARD livery. So JEANRICHARD steps up as the team’s primary sponsor – and the whole feel and look of the independent team will incorporate the new livery. JEANRICHARD has also been the official timekeeper of the American Le Mans Series for the last three years, and it’s very encouraging to see this sponsor stepping up its investment in sportscar racing. Jackson indicates that an announcement about JEANRICHARD’s series involvement is due soon. Chris McMurry may be in favour of a fresh look – but for once, his racing helmet will stay the same. 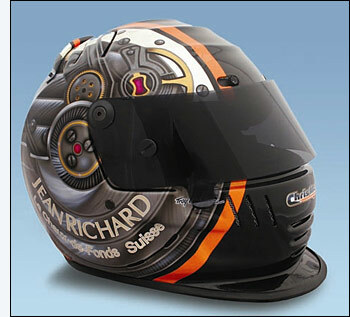 It will be the JEANRICHARD ‘look’ that first appeared at Sebring this year. The team is working hard to have two Lolas racing in 2007, but will probably arrive at the Sebring test in late January with one car. 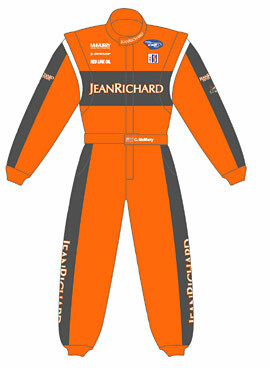 www.jeanrichard.com and www.autoconmotorsports.com for more details of the sponsor and the team.